‘Only Dead Fish Follow The Stream’ - (Malcolm Muggeridge) and when it comes to online advertising setting yourself apart from your competition is one of the most crucial factors to gain you the all-important clicks you need to generate conversions. 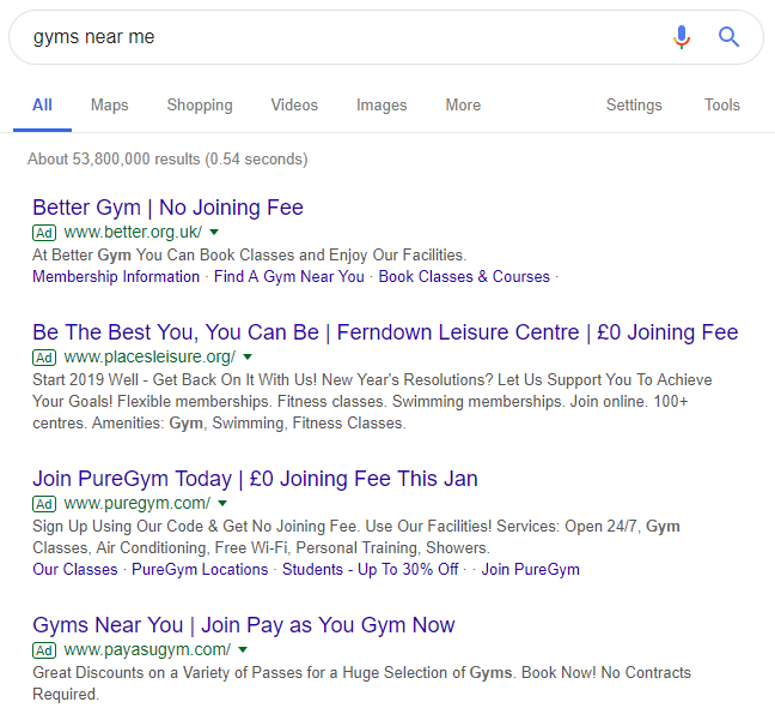 As you know Google (and Bing for that matter…) recently changed the length of their expanded text ads to make them a bit bigger. Use this to your power. Take up as much real estate in the SERP as you can. Want to know why? Because those ads that are a bit longer, with three headlines and two descriptions take up more room and gain more attention for it. Personally, I also think that it makes the ad look more cared for. When this update was first rolled out the first thought was to ‘get the most important campaigns updated to this new format and roll it out across the lesser performing campaigns in the following months’. So in summary, make the most out of the real estate available to you in the SERP. Make Use Of Those Ad Extensions! Sitelink extensions are one of the most used extensions that Google offer. They’re a useful (and easy to implement) addition to your ads that allows you to send people to specific pages on your site. This ad from Spotify is an excellent example of this as they have 4 sitelink extensions that go to different pages on their site and also give important information to entice you to click that little bit more. Sitelink extensions have proved to increase click-through rates. It all comes down to the real estate that I mentioned earlier. 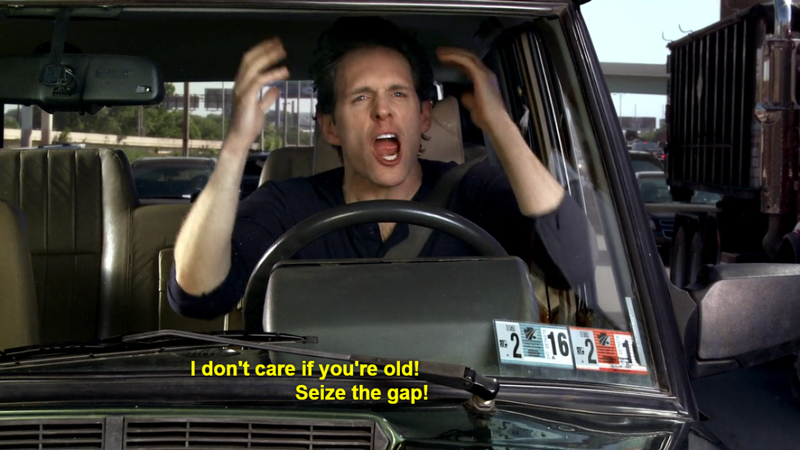 If there’s space in the SERP, seize it. Increase conversion rates - by giving people the option of different landing pages from one ad it means they’re more likely to find what they’re looking for in fewer clicks which will lead to happy customers & more conversions. No change to the cost per click - whether you have the sitelinks or not, your avg. CPC for a click on that ad will not change (this also goes for all the other extensions I’m about to mention too). Callout extensions are similar to sitelink extensions but without the links. For example with the ad below from Pizza Hut you don’t get sent through to a separate landing page for their ‘cheesy bites’. They are usually added to an ad to draw attention to key information or unique selling points. E.g. order online, speed guarantee etc. Essentially they’re just 25 characters that you can use to ‘callout’ your best bits! Google has made setting up callout extensions quite simple so it’s definitely worth considering giving them a little test. 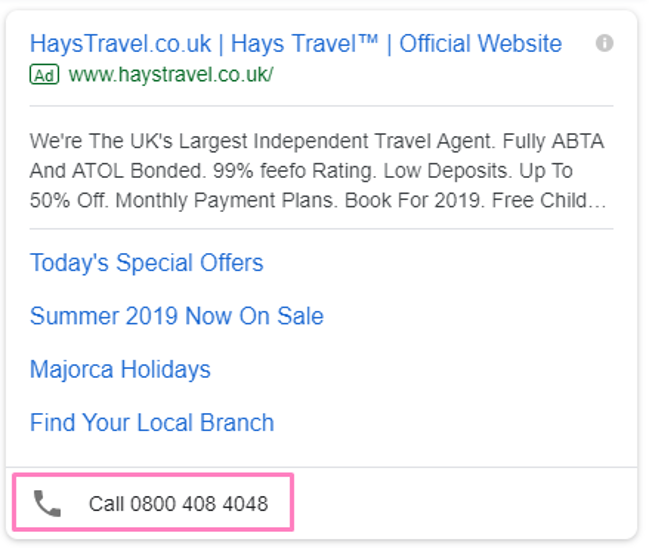 Call extensions let you feature phone numbers in your ads which can increase click-through rates. The function of call extensions is that you can click the button to directly call the company which saves them a lot of time clicking through your site to find the phone number. If your goal is to get people to call your company then it’s definitely worth implementing call extensions. With the use of structured snippet extensions, you can highlight some specifics on your products and services. For example how Ben and Jerry’s have used structured snippet extensions to highlight some of their types of ice cream and their quirky flavour names. These can help a lot in the making of a healthy & attractive ad because they instantly help people learn more about you and your brand. With this Ben and Jerry’s ad example you can see they’re quite a fun brand from the names of their ice creams e.g. Karamel Sutra and Blondie Brownie. With bid adjustments, you can implement a percentage change to a bid which allows it to increase or decrease for better control of what position your ads are shown and when. For instance, if a specific location performed surprisingly well at a specific time you could put an increase percentage bid adjustment on to target that place at that time more aggressively which should ensure that you’re more likely to hold position 1 in the SERP for that time. On the flip side of that, if your CPCs go through the roof with no returning value at a certain time every week. You could put a decrease percentage bid adjustment in place to remain visible at the time but less urgently. With the location targeting setting, you can choose specific geographic locations for your ads to appear in. You can choose entire countries or just cities/regions within a country or you can target a radius around a particular location. You should just be mindful of what locations you’re targeting. If you’re pushing ads out to other countries when you only operate or deliver in one country then you’re wasting money on places that aren’t going to convert. Ad scheduling lets you set custom times throughout the day when you want your ads to run including specific hours of each day. Some companies are able to run ads 24/7 however a company that requires people to be in the office to answer calls and leads would only want their ads to run during office hours to get the most out of their ads. Similarly, companies that don’t have the budget to run their ads 24/7 can take advantage of ad scheduling to make sure their ads only show at the most valuable times. Make sure you add appropriate bid adjustments to the best and worst performing times of the day for your campaigns. If there are search terms that give you unwanted clicks you can put the terms into a negative keyword list and apply the list to relevant campaigns. This saves you adding the same negative keyword to multiple campaigns individually. This, for instance, came in handy for a client of ours recently. This client offered products from a brand called ‘nice’ and when looking through our search query reports (a report generated by Google that shows us all of the search terms that our ads have received clicks on) we found so many searches for ‘nice things to call my boyfriend’ & ‘nice things to do for my girlfriend’. Obviously, we couldn’t make ‘nice’ negative because we still wanted to promote the brand so we made a negative keyword list including the words ‘boyfriend’ and ‘girlfriend’ and applied it across the account. Never ever stop testing your paid ads. Why? Well, you should test your ads so you can see ways to improve them down the line. If one is performing significantly worse than the others maybe it isn’t worded as well as the others. Or if you tried something new and your ad is doing really well, consider implementing that new strategy further. Testing your ads helps you understand what your customers respond well, or not so well to. Test the extensions too, some extensions might pair better with different ads & some could work better for you than others. To stay ahead of your competitor you need to know what they’re up to. You can review your competitor's ads, landing pages and their incentives in Google’s Auction Insights Report. With this helpful tool, you can see who is bidding against you and their impression share in comparison to yours. 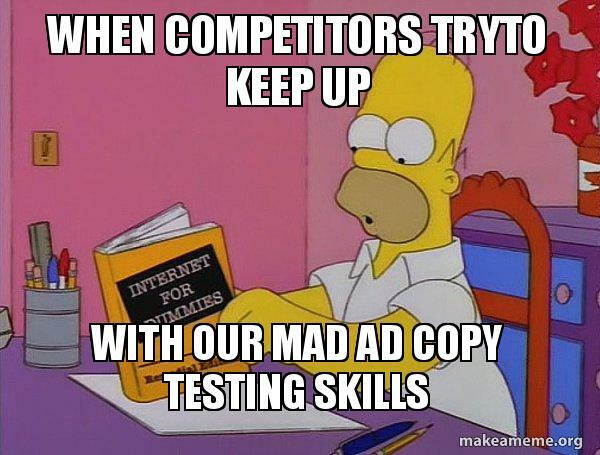 You can write the best ad known to mankind but that will still only plays a small part in your PPC strategy. You need to look into efficient ways of tracking performance, landing page optimisation, setting clear goals and other important practices for your PPC campaign to be successful.